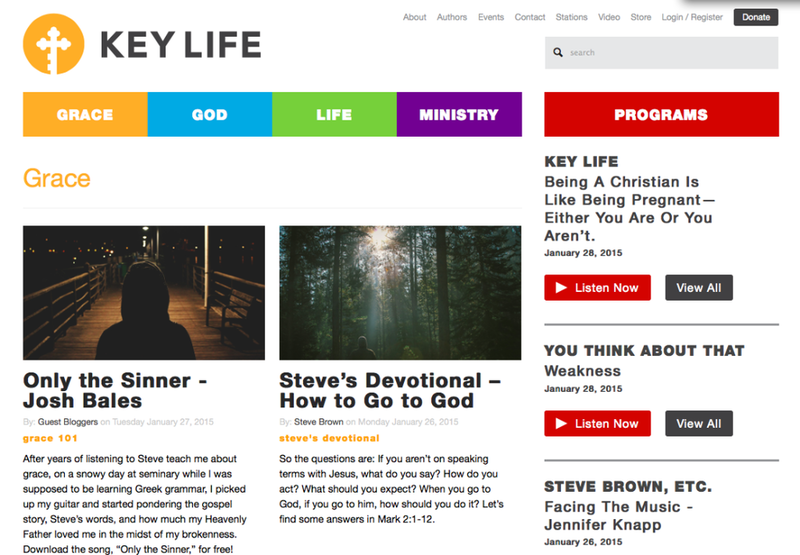 You can get a free download of my song Only The Sinner at Steve Brown's website and blog: Key Life Network. This song is very dear to my heart and was inspired by years of listening to Steve's teaching on God's scandalous grace. It was a magnificent treat to get to say "thanks" publicly to Steve for the way his life's work has impacted me. 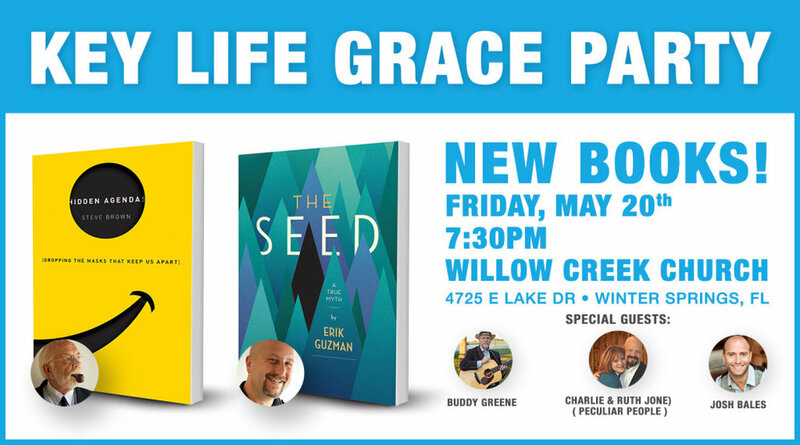 If you've never checked out a book by Steve, or heard him speak, you are missing out on one man's enormous gift. 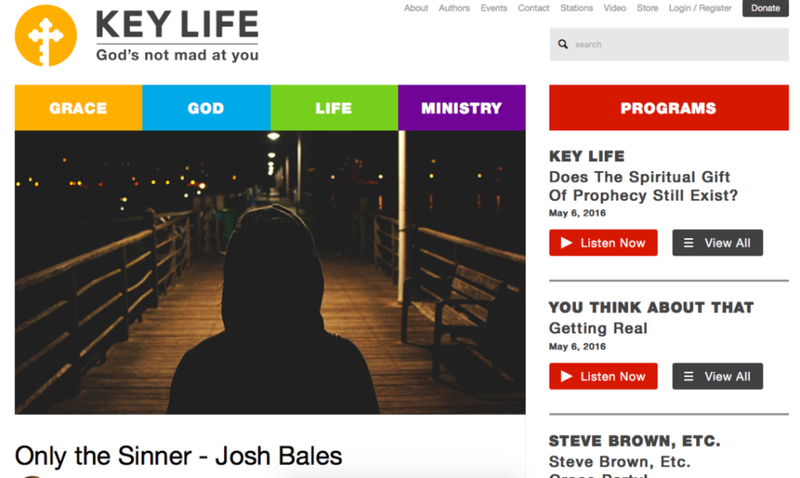 Read the story behind Only The Sinner, listen to the song, and download it here. The Making of "Count The Stars"
Have you seen the behind the scenes footage from the making of the Count The Stars EP? It's a brief taste of what it was like to rehearse, dialogue, record, and just be creative with a wonderful team of folks in Nashville. Glad to still be touring this CD, sharing the songs with fresh ears all around the country. Check it out. 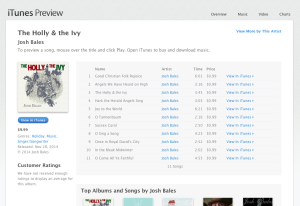 "The Holly & The Ivy" is a new Christmas album from singer-songwriter Josh Bales. "I wanted to make a Christmas album that captured the longing of Advent and the hope of Christmastide," Josh said. "I recorded most of the album in my home, and in my counseling office. As a part time mental health therapist, it was very meaningful to sing the lyrics "He comes to make his blessings flow far as the curse is found..." in a place where the waiting of Advent is often felt more than the joy of Christmas. So these songs reflect that mixed spirit of longing and hope. I think that's what Christmas probably SHOULD feel like in a broken world." This is Josh's first Christmas project, and it comes on the heels of "Count The Stars," a collection of songs he released in 2013 with multi-award winning producers Ed and Scott Cash. 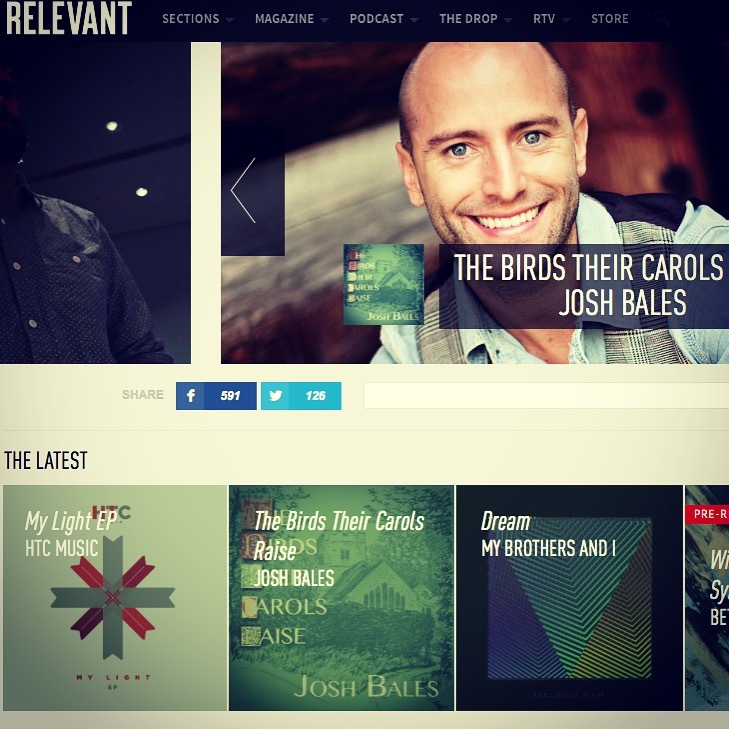 You can stream the new Christmas album at RELEVANT MAGAZINE's THE DROP by clicking below. THE DROP features all kinds of other great artists and albums to stream as well. Thanks RELEVANT! And of course you can download the album directly from this website, or on iTunes. 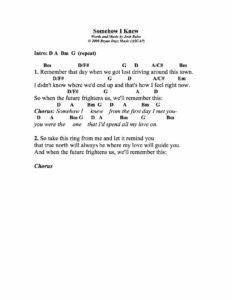 A Love Song For Weddings: "Somehow I Knew"
A few years back I wrote a song called "Somehow I Knew" for my sister's wedding. We recorded it with a full band for the record I made called "Somehow I Knew." And the song seems to have connected with other happy couples. Here are some wedding videos that feature "Somehow I Knew." You can license the song for your video at The Music Bed. So congrats to all the newlyweds, and thanks for using my song! If you want to sing/play the song for your own valentine, here are the lyrics and chords.